Hannah John-Kamen is featured in the 'Ant-Man and the Wasp' so naturally she was on hand for the world yesterday evening(June 25th) at the El Capitan Theatre in LA. 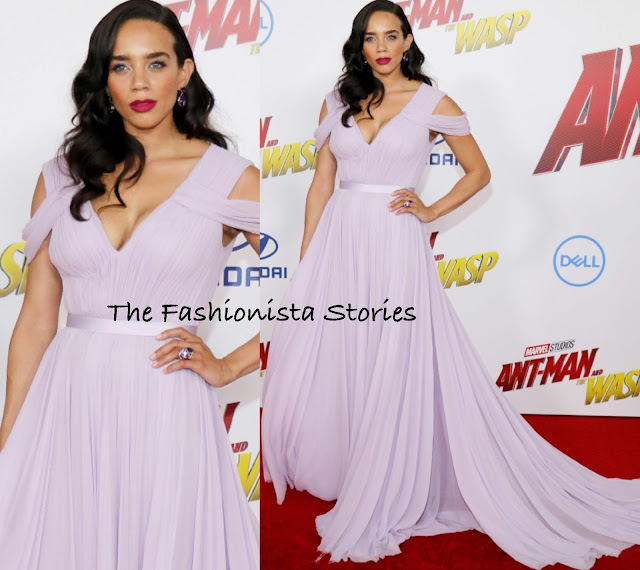 Hannah glided beautifully across the carpet wearing a custom JASON WU ATELIER lilac silk-chiffon pleated gown featuring a v-neckline, draped cutout shoulders, a satin waistband and a short train detail. Yes we have seen this design before but you can't help but acknowledge how elegantly beautiful she looks. a pop of color, a bold fuchsia matte lip was added to her beauty look which topped off her look along with side parted tresses, ABDULLAH CHANCELLOR earrings and a LE VIAN ring.